Ali writes: Having kids, as you know, messes with your sleep patterns – from newborn and no (night time) sleep, to toddlers trying to get into your bed at three in the morning – through to fretting about teenagers who stay awake longer than you do! Adult Life is a lot more stressy than advertised right?? 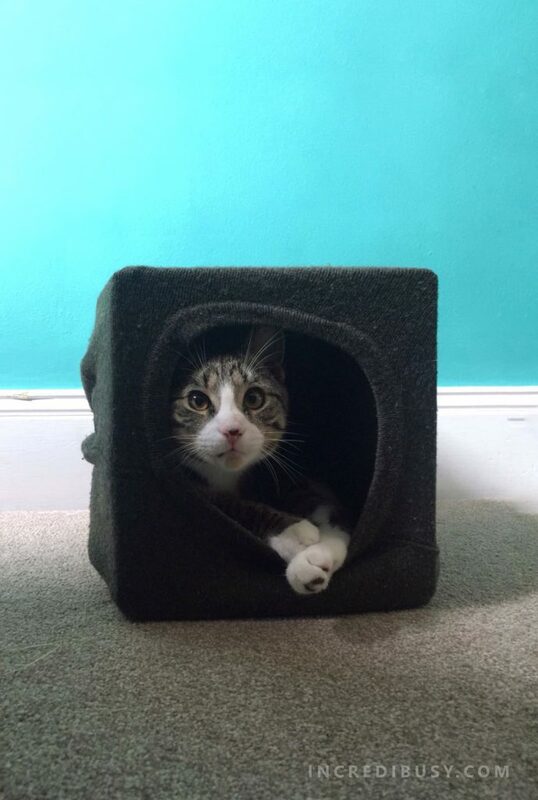 And even Kipper the new kitten, acquired after research into how de-stressing a pet can be* for teenagers and perimenopausal mamas, drives us mad by jumping on our heads when he thinks it’s time for breakfast at five AM!! As a freelancer, I find it really hard to ‘switch off’ and de-stress, my mind struggles to relax and unwind – I’m constantly ‘on call’ from clients, and all of the connections and social media app messages that seem to bombard me daily (and nightly!). And as a family, we’ve been a bit lapse about allowing electronics into the bedroom – we had a rule that no mobile phones could be taken to bed, and had to be left on the sitting room mantelpiece – and that worked so well, what went wrong??! 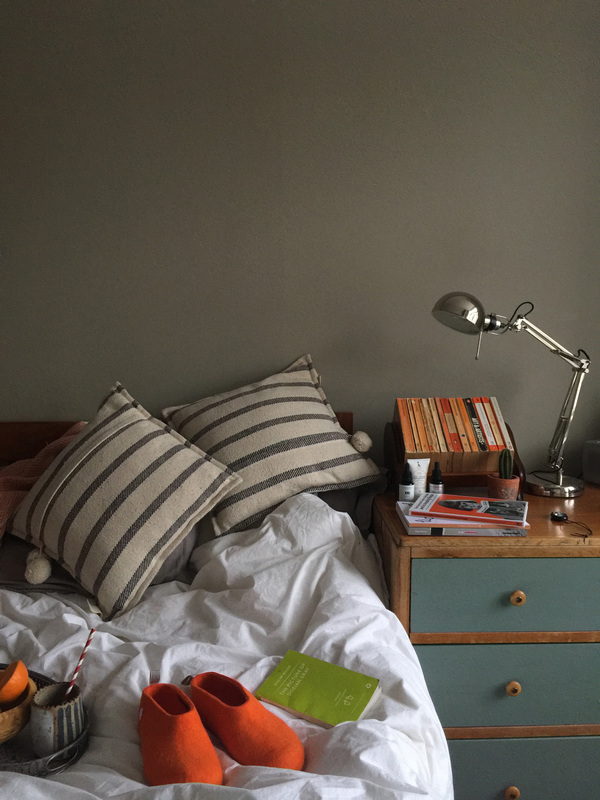 So we are starting afresh, no more ‘reading a book on my phone’, no more ‘just checking Instagram messages’ – no more ‘oh I need my mobile phone for the alarm in the morning’ – we are making some changes! Sleep allows your mind to unwind and de-stress. This allows your mental and emotional well-being to be restored. Sleep helps your brain to recover and revive itself, helping it to make sense of the day, storing your memories and creating new ideas. Sleep gives you energy and boosts your immune system, helping your body recover from illnesses. While you sleep your body builds and repairs itself by making new tissue. So plump up those pillows, grab a book (and your reading glasses – my eyes always need a bit of help at night!) and settle down into a comfy mattress for a good read at bedtime. Aromatherapy oils can really help too, I recently put a call out on my Instagram stories asking for natural remedy advice for better sleep and was recommended these calming, relaxing aromas of essential oils: Try Lavender, Vanilla, or Jasmine. Essential oils can promote relaxation – perfect to help switch off at the end of a busy day. As well as the calming scents of essential oils, a relaxing bedtime routine can also help you drift off. 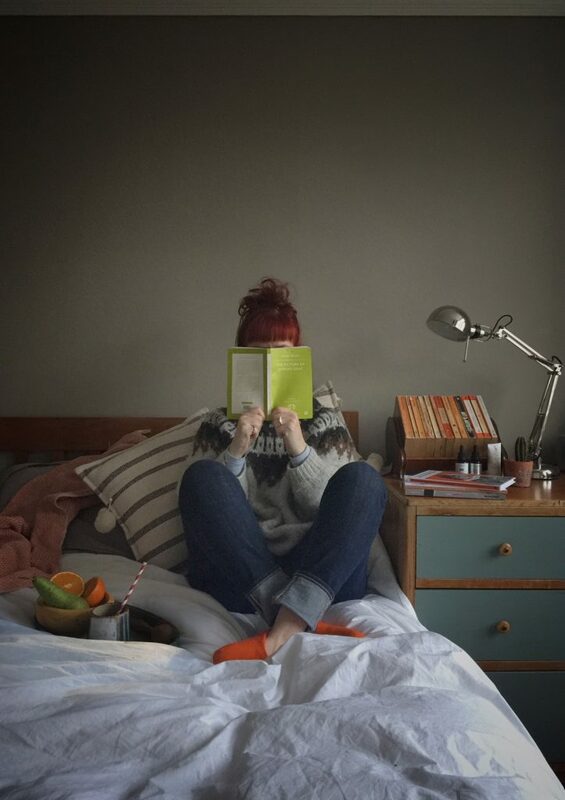 A warm shower or bath is a soothing way to unwind and as mentioned, swapping electronic devices for a good book can help your mind to switch off – and take note – try a bit of ‘facial pampering’ – thanks to suggestions from my Instagram followers (I know, it’s become my ‘go-to’ for advice!!) I’ve been using a night oil too – apparently skin repairs faster at night with the increased production of two key hormones: HGH (Human Growth Hormone) and Melatonin. Massage a night oil into the face before bed to allow the ingredients to penetrate overnight, so that you can wake up with a glowing complexion and a jolly demeanor. And a warm herbal tea can help too – make it a Fairtrade chamomile tea for ethical bonus points – and try jotting down a “to do” list for the next day which can organise your thoughts and clear your mind of any distractions. And maybe some gentle relaxation exercises, such as light pilates or yoga stretches, which help to relax the muscles. Don’t exercise vigorously, as it will have the opposite effect! Mental health awareness week highlights the importance of improving the quality of your sleep for your over all mental well-being during stressful times. This post is in conjunction with Tempur but all thoughts are my own. TEMPUR® are supporting the Mental Health Foundation as their chosen charity for 2018. Tempur have worked alongside the Mental Health Foundation to produce a sleep guide, giving tips on sleep and how to get a good night’s sleep. These will be available in Tempur stores and on the Tempur website. *Read more about how pets have been found to lower the levels of the stress hormone cortisol in our bodies, leading to a calmer approach to life and thus positively impacting our blood pressure. Simply stroking a pet can have health benefits. What an amazing thing to be a part of… the #TeamHonkRelay – Team Honk is a collection of bloggers, Tweeters and Facebookers who come together to raise money for Comic Relief and Sport Relief. 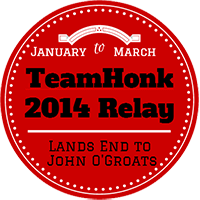 Team Honk, set up in 2013 by Tanya Mummy Barrow, Penny from Aresidence and Annie Mammasuarus, have this year designed a blogger team honk relay challenge where a baton is being passed from Lands End to John O Groats. Bloggers up and down the country will be using a range of weird and wonderful modes of transport to pass the baton over. 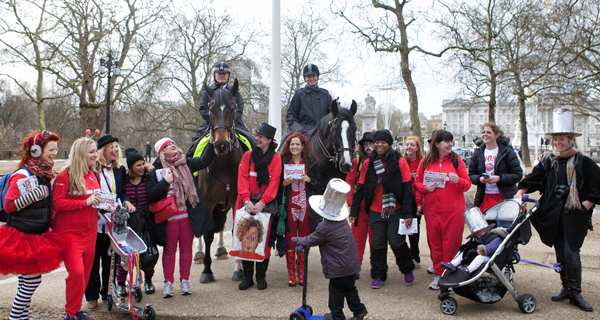 Yesterday was London’s turn… Our leg of the team honk relay was an ingenious Monopoly theme – #Honkopoly! 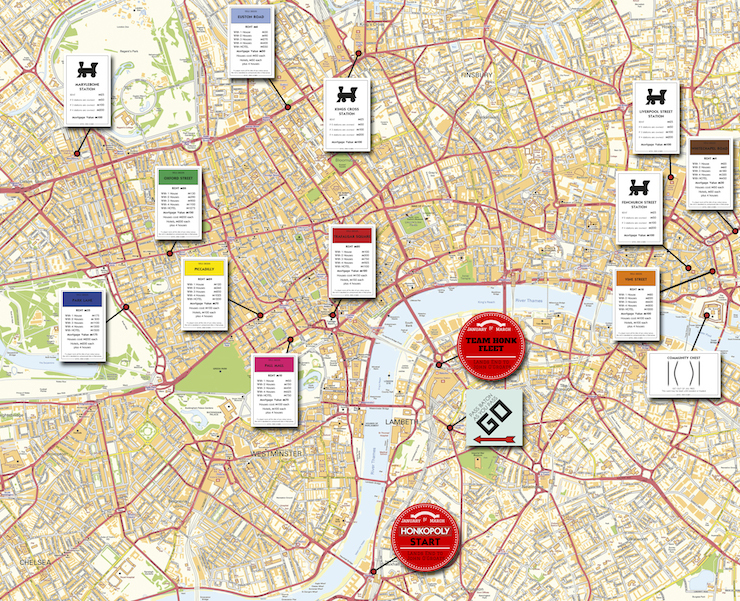 We covered every colour of the Monopoly board with a couple of extra iconic points of interest along the way. We walked, skipped, ran, skated, and pushed buggies. Armed with the baton and props including Get Out Of Jail , Chance and Pass Go cards as well as amazingly designed leaflets which we gave out to people with details of what we were doing…and tonight we find that we are on the leaderboard of Sport Relief’s ‘freestyle‘ fundraisers! Bloggers who took part in the London leg included: Vanessa from HPMcQ, Sophie from Franglaise Mummy , Sarah from Grenglish, Swazi from Chocolate is not the only fruit, Alison from Not Another Mummy Blog, Me (KidsChaos) in my Hi-Tec trainers, Jennifer from Jenography, Gillian from A Baby on Board, Rosie from Mummy and Boo, Gretta from Mums Do Travel, Julia from I Carried a Watermelon, Stephanie from Was This In The Plan?, Jacinta from Jacintaz3, Maria aka @maniasmama3, Sachelle from Holiday Tots, Maggy from RedTedArt, Nell from the Pigeon Pair and Me, Kelly from domesticgoddesque, and Uju from babesabouttown. We had a great day being a part of the team honk relay. 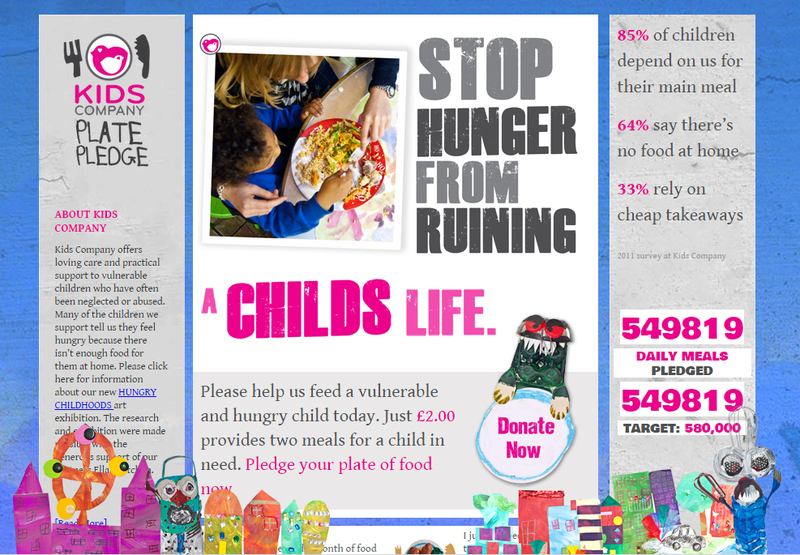 supporting this worthy charity and raising money for a fantastic cause. So, we’d love it if you could sponsor us all here please. Thanks so much! I think it’s worth it for Maggy, Red Ted Art‘s eyelashes, and our tutu and tights get-up from Delights UK – we certainly got some *HONKS*. You can keep track of the journey by following the hashtags #TeamHonkRelay – and let us know when you have sponsored us, so that we can tweet about you too! And if you’re interested in actively getting involved with Sport Relief, the first ever Sainsbury’s Sport Relief Games take place from Friday 21st to Sunday 23rd March 2014. The public can join the fun and games by running, swimming or cycling their way to raising cash at over a thousand venues around the country, including the landmark events at Queen Elizabeth Olympic Park.